United States Army Garrison Heidelberg (USAG-HD) is located in Heidelberg, one of the most beautiful cities in Germany, nestled in the heart of the Neckar Valley about 70 miles south of Frankfurt. The city, a historic tourist attraction, features Heidelberg Castle, built during the sixteenth century, and the University of Heidelberg, the oldest university in Germany, dating from 1386. The Army has been located in Heidelberg ever since the end of the Second World War but as allies and guests of the German people. The Heidelberg community is recognized as one of the best military communities in the United States Army Europe. U.S. Army Garrison Heidelberg includes installations in Heidelberg proper, and in Schwetzingen and Germersheim. On March 27, 2008, the former U.S. Army Garrison Heidelberg reflagged as U.S. Army Garrison Baden-Württemberg and a new organization were activated to support the Heidelberg military community, to be known as U.S. Army Garrison Heidelberg. Heidelberg is centrally located in Germany, with the cities such as Frankfurt, Stuttgart, Nurnberg, and Munchen (Munich) only being a few hours away by train. It is also a short trip to France and cities such as Strasbourg not far away, and Paris only a few hours farther. The USAG Heidelberg maintains and supports a community of approximately 60,000 Soldiers, civilians, and family members. It is made up of a diverse group of people consisting of host nation employees, Soldiers, Department of the Army civilians and military family members. U.S. Army Guesthouse located in Bldg. 4527 on Patrick Henry Village offers high-quality transient accommodations to government personnel on TDY or PCS status. For information and reservations, call 001-49-6221-795100, DSN 314-370 -1700 or 314-388-9387. Married soldiers traveling with deferred travel for family members will be housed at the unit or the Bradley Inn (again, based on rank) until temporary or permanent housing becomes available. Married soldiers with concurrent family travel will be housed at the Bradley Inn, regardless of rank, until temporary or permanent housing becomes available. IMCOM-Europe instituted a theater-wide mandatory housing policy. Military personnel, regardless of rank are required to live in on-post quarters if they are projected to be available within 30 days of arrival. Senior Officers and above housing is in PHV. Voltage in government quarters varies; some units have 110v, some 220v, and some a combination of both. Transformers are available in the Post Exchange but can be expensive. They are also available at your installation Thrift Shop at a reduced price and are often advertised in the Post newspaper. Check appliances to see if they are dual-voltage. If so, all that is required is an inexpensive adapter plug. The Heidelberg area has a shortage of single-family houses. More common are duplexes, townhouses, or apartments. Most homes on the economy have stairs, often two or three stories, and many of the homes are not able to accommodate large pieces or assortments of furniture. The average size of a duplex or townhouse is approximately 1500 - 1800 sq ft and the price averages between 1100 to 1400 Euros. The Heidelberg community has two elementary schools, a middle school, and a high school. Enrollment is free for command-sponsored children of service members and DoD civilians. Other categories of students may attend on a space-available, tuition-paying basis. The option of homeschooling and attendance at a local school is available. Military, civilians and their family members can pursue their educational goals at local education centers, and soldiers can further their careers at Army learning centers. There are opportunities for taking vocational-technical, undergraduate, or graduate courses at Central Texas College, the University of Maryland University College, the University of Oklahoma, and the University of Phoenix. 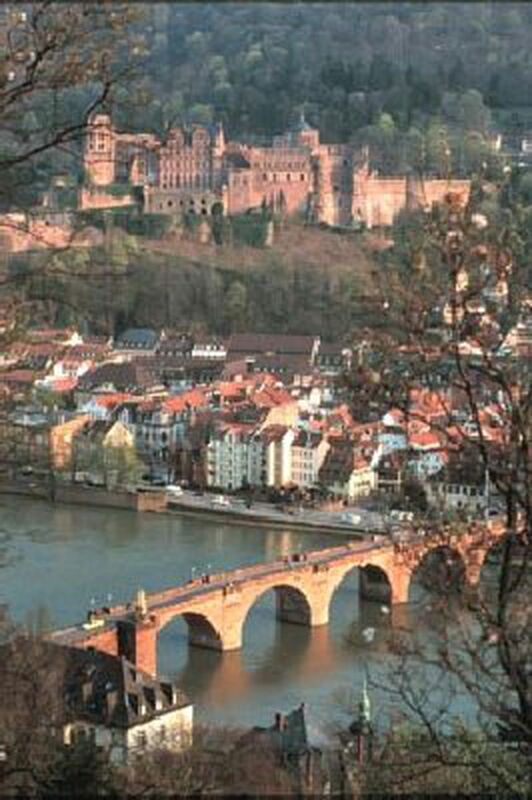 The city of Heidelberg has long been known as a center of education in Germany. There are several German educational opportunities that are also available to U.S. soldiers and civilians overseas. The Child Development Centers offers full day, part day, and hourly programs for children ages 6 weeks to 5 years. There are several Child Development Service programs available including Full Day, Hourly Care and Part-Day Preschool. Short Term Alternative Child Care is a program designed to provide on-site group care when the parent(s) of all children in care are attending the same function. The School Age Services (SAS) program provides services before and after school, during holidays, and school- out days for Department of Defense Dependent Schools (DoDEA). SAS provides children positive individual and group experiences with adults and peers that compliment the school day, through educational and recreational activities which support the children's needs. School-age children in grades 1 - 5 are serviced at the School Ages Service Program before and after school, all day on school-out days and during school breaks. Fees are based on the income of the family. Full-day fees range from $167 to $375 a month. Part-day preschool fees range from $27 to $90 a month. Residents of the Heidelberg community are served by the Heidelberg Health Center on Nachrichten Kaserne, not far from Campbell Barracks and the Mark Twain Village housing area. After hours and on weekends, help is available from the Nurse Advice Line or at local German health facilities. Heidelberg has two dental clinics, one at the hospital and one on Patrick Henry Village.